There are many enterprises have produced concrete batching plant, why most customers are willing to buy our equipment? Today, we will give you a suitable explanation. First, economization and environmental protection. We first adopt closed loop system to produce, from feeding, metering,batching to mixing that are in the closed state. Then to keep the quality of concrete batching plant. We use high quality material to produce the concrete mixing equipment. Except that, our products conform to the international standard. In 2000, the company passed ISO9001 Quality System certification. The company has won many other honorary titles. Finally, easy operation, high quality security. Zhengzhou CamelWay Machinery manufacture has an extensive user base in the country, enjoying a high popularity. Some products are exported to Vietnam, Laos, Kazakhstan, Mongolia, Russia, Cuba, Brazil and other countries, being highly praised by foreign friends. 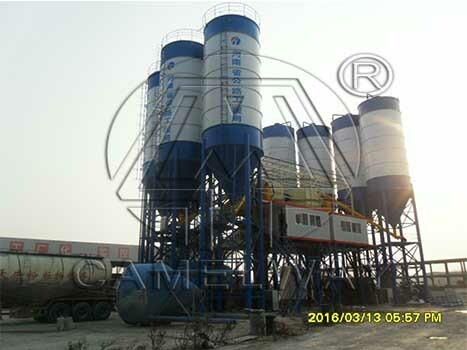 If you want to know more information about the concrete batching plant or buy it, you can contact us. We will try our best to service for you.